Was chatting with my co-workers in the breakroom today about stuff and I mentioned the one time that I got fired for being gay. “If they’d done that to me, I would have just stolen something out of spite. Like… a stapler or something,” says the janitor. 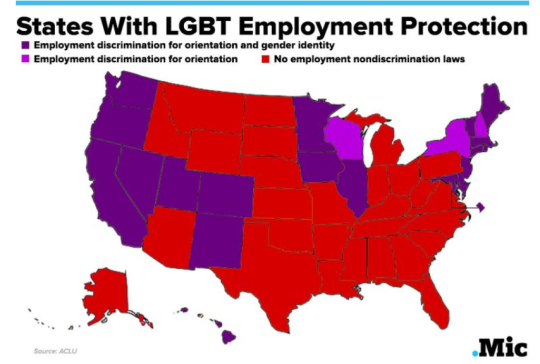 Firing someone for being LGBT is still legal in 27 states. Pass it on. And for those asking, the zoo is in Indiana, but they have since changed management.